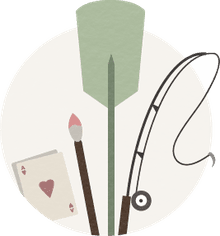 Watercolor paint is a translucent medium suitable for many purposes: in the classroom, for illustration, botanical painting, as studies, and as final works of art. Watercolor paint is made from a color pigment dispersed in a suspension that binds the pigment and allows it to adhere to a surface when dry. In commercial watercolor paints, the binder is either natural gum arabic or synthetic glycol. Every manufacturer has their own unique suspension composition, called the backbone composition. While watercolor paint is water-soluble, due to the water-soluble binder, pigments, themselves, do not dissolve in water. There are different categories of pigment, including natural inorganic (metal or earth pigments from natural mineral deposits), synthetic inorganic (metal or earth pigments created by combining raw chemicals and ores through industrial manufacture), natural organic (pigments made as extracts from animal or plant matter), and synthetic organic (carbon-based pigments often made from petroleum compounds). Most commercial artists' paints today use synthetic pigments. 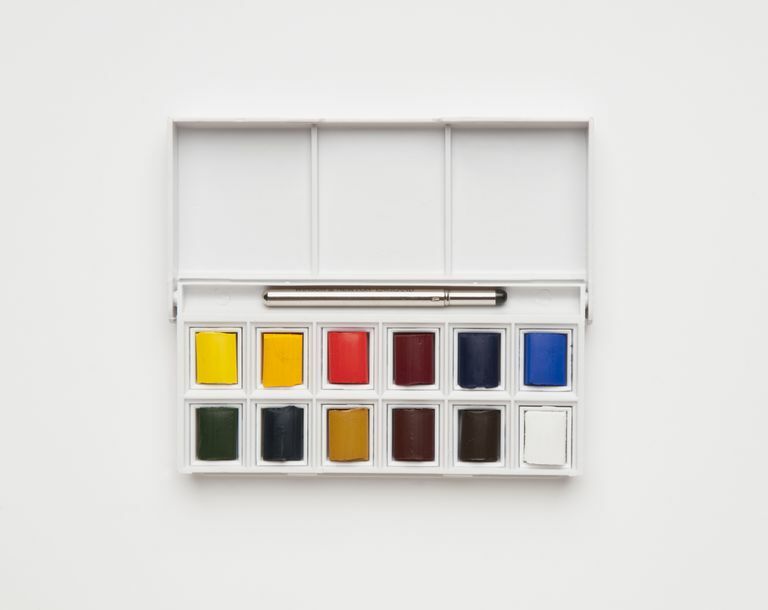 The actual amount of pigment in the paint makes the difference between student grade and artist quality paint, the artists' grade containing more pigment. ​There are several types of watercolor paint available commercially: paint in a metal tube that has the consistency of toothpaste; paint that comes as a dry cake in small plastic pans that requires more water to make it a good consistency for painting; and watercolor that comes in a liquid form. Pan and tube watercolors are made with pigment, liquid watercolors are made with pigments and dyes. In the 17th and 18th centuries, artists ground pigment from plants and minerals and mixed their own paints from pigments along with gum arabic, granulated surge, and water. Hard dry cakes of watercolor were made in the late 18th century by William and Thomas Reeves, and then, in 1832, developed further by the firm of Winsor & Newton, into a semi-moist cake prepackaged in tiny porcelain pans and wrapped in foil, making watercolors easier to use and more portable. Paint tubes were first used in 1846 when Winsor & Newton introduced them for watercolor after first using them for oil painting when invented in 1841. Liquid watercolor is a concentrated fluid medium that comes in 8 oz, 4 oz, 1 oz, or smaller bottles depending on the brand. It gives you vibrant rich color full strength, but can also be diluted with water for paler hues. It is good for airbrush as well as traditional brush methods. It is a delightful medium to use because of its color strength and fluidity and comes in brands suitable for elementary school children as well as artist grade.